It seems that the medium of photography came quite a long way since its inauguration in the late 19th century. The genre has changed, not only in terms of technology and the choice of subject matter, but also as a mature art form that belongs to important museum collections today, even though it sometimes seems that its artistic status has never been entirely resolved. Nonetheless, the emergence of numerous photography museums over the past century, and increasingly in the last few decades, has certainly helped photography become widely recognized as a legitimate art form, and not merely as a method to document reality. 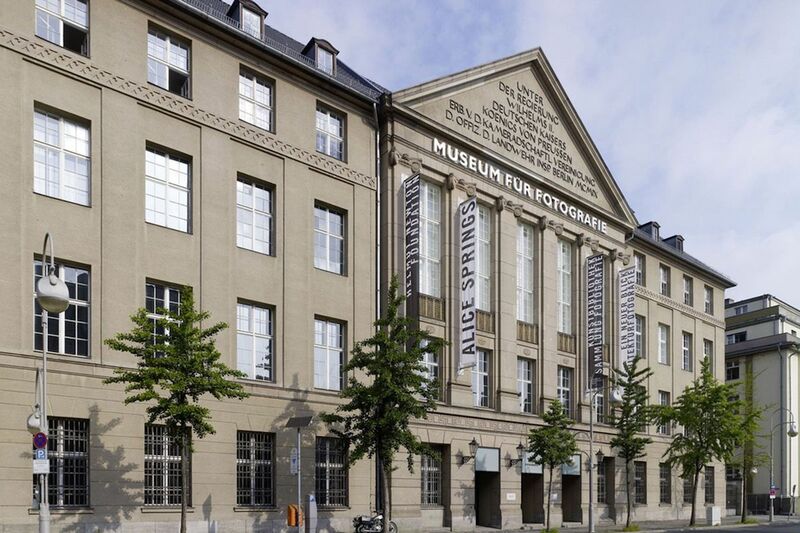 One of such museums is located in Berlin, and it is called The Museum fur Fotografie (Museum of Photography), referred to as a “magnet for photography enthusiasts from all over the world since its opening in 2004”. Berlin’s Museum of Photography collaborates with major institutions involved in the history of photography and its legacy, such as the Helmut Newton Foundation, Staatliche Museen zu Berlin and Kunstbibliothek. All of the three institutions’ collections attract a great number of visitors each year – over a million, as reported, over the course of the past few years alone. They encompass around 2000 square meters of the museum’s space, presenting some of the most engaging topics related to the genre. These include permanent exhibitions and the ones that are displayed successively, some of which involve Helmut Newton’s own work and the work of his contemporaries and his wife Alice Springs. Others come from the Kunstbibliothek’s Collection of Photography and Staatliche Museen zu Berlin, both of which have the gallery on the second floor reserved, an exhibition space with a very interesting background story. The rest of the building hosts exhibits and shows from the Helmut Newton Foundation. The building of the museum is an interesting piece of art and history itself. It was built in a neoclassical style, in 1909, and it served as a casino for German officers. 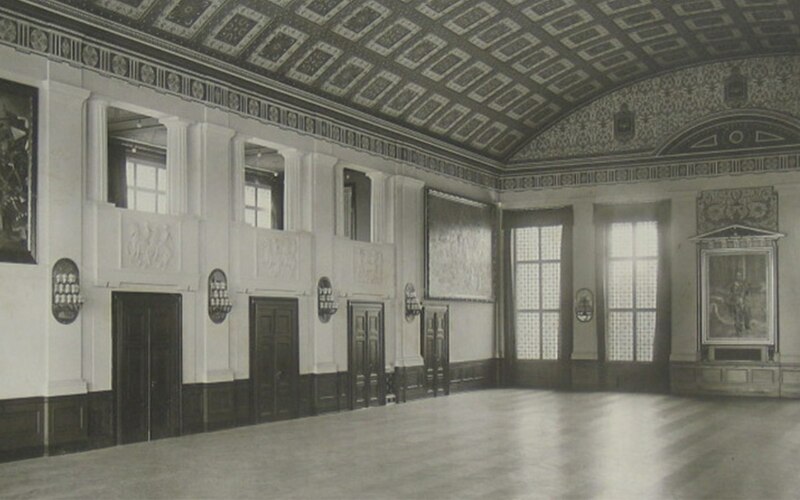 The somewhat “dark” and rigid facade of the building was quite different from its original interior, which exemplified a flamboyant Jugendstil decor, especially through the design of the palatial banquet hall located on the second floor, called the Kaisersaal. The hall was eventually turned into a theater, but it was then severely damaged in the Second World War. Since the 1950s, the building has been used as an exhibition space in different ways, but Kaisersaal remained almost intact, and it was in such state when the photography museum opened in 2004. The walls of the room were partly ruined and partly stripped down to bricks, and the ceilings revealed the elements of roof construction. However, given that people in Berlin obviously know how to make the best out of a ruin, this was not seen as a problem, but rather as an exceptional quality. The rather “unusual” exhibition space served as a perfect setting for some of the most progressive trans-disciplinary exhibitions, which involved both the medium of photography and other forms of contemporary art, such as sculpture, installation, film, etc. The sequence of these successive shows lasted from 2004 to 2008, and it played a crucial role in expanding the extents of the discipline, questioning its relevance to other media and challenging our way of looking at contemporary art. Correspondingly, it involved both photographers and other contemporary artists, most of whom came from the territory of Germany and designed site-specific exhibits to respond to the unique space provided. The list of authors includes Raimund Kummer, M+M, Philipp Schönborn, Boris Hars-Tschachotin and Hannes Nehls, Regina Schmeken, Reiner Leist, Raymond Depardon and Simone Mangos, among others. Ultimately, the hall was renovated in 2010, and it is now used by the aforementioned institutions, containing both the archival material and a series of rotating exhibitions. What Can We See In the Museum? As already mentioned, the museum owns a vast collection thanks to all of the contributing institutions. It has photographs dating from the turn of the century in its permanent collection, as well as those from the “New Vision” period in the 1920s, but also some of the most recent ones, belonging to the spectrum of contemporary photographic imagery. However impressive this may sound already, once you’re at the museum, you’ll find that this is only the first part of the incredible journey across the timeline of photography. The museum is known for their experimental approach and its commitment to research projects that border on innovation and aim to discover new disciplines within the existent ones. Thus, they often collaborate with institutions, people and organizations that pursue different, yet similar practices, such as art history, archaeology, ethnology, or other spheres of contemporary art. This includes curators, universities and schools as well, such as Berlin’s UdK. One of the most interesting projects at this moment is probably Photo-Objects, a project that began in 2015 and will last until 2018. It aims to “understand documentary photographs as three-dimensional objects“, investigating the matter of a photograph’s dual existence, being that it is an object by itself, but also a representation of another “object”. Or, if you’re in the mood for something more “traditional” but still off the beaten path, you will always be able to find something interesting on display, such as M+M’s 7 Days that is currently on view – a multi-channel video installation that re-imagines the scenes from some famous Hollywood movies, and examines the form of synchronized storytelling. If you’re starting to get excited about this amazing museum and are already planning your visit, you should consider booking a guided tour via their website, and we suggest you check out the ones that are already scheduled, as each of them is quite specific. If you follow their calendar, you will also be able to find out about all the interesting happenings, workshops and open talks that relate to the field of photography, but also to music, film, theater, etc. The inclusive approach, which focuses both on the history and the future of photography, will certainly lead toward a better understanding of the discipline, and help broaden our views, making the image wider than a wide-angle lens does.